Pain in the Bunion: Take Two! The way you walk: This can stretch the ligaments holding your bones together, causing the bone to jut outwards as a result. Wearing High Heels: Compounding the issue, high-heeled shoes will place additional pressure on the toes, accelerating this process of ligament stretching. This progression can give rise to a condition known as splay foot, where the bones on either side of the foot protrude outwards. 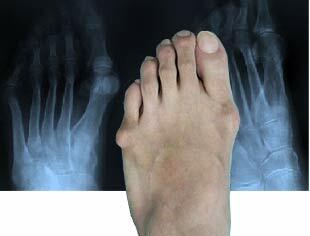 Surgery is another option to straighten out the bunions but only in severe cases. Therefore in closing; if sitting cross-legged for hours is causing pain in your pinky toe region, or perhaps you’ve noticed pain in your little toe area while taking a stroll around the Jacksonville, FL St. Johns Town center, consult with Dr. Reddy for appropriate treatment options for your tailor’s bunion. *Fun fact: The sartorius muscle is the longest muscle in the body, found in the front thigh. Sartoriusderives from the Latin word for tailor because it functions to position your legs in a tailor’s cross-legged position!